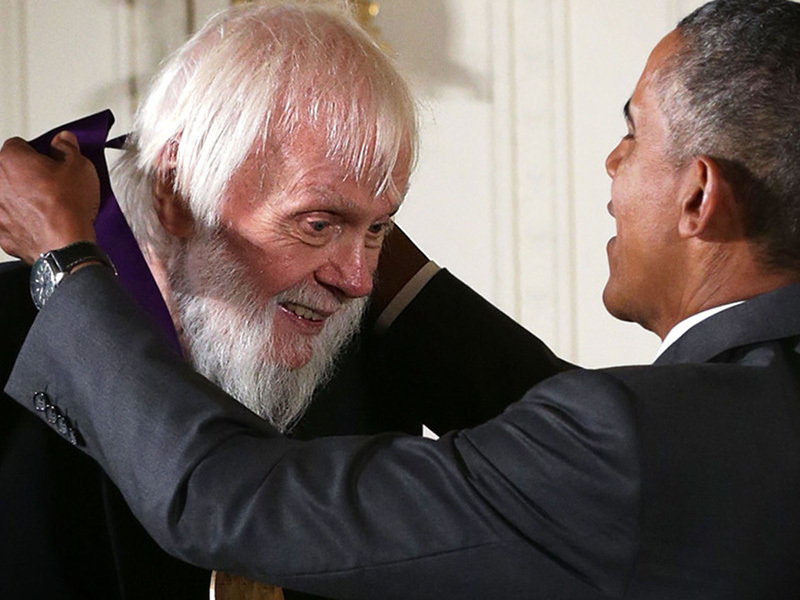 SCVHistory.com | CalArts | John Baldessari Receives 2014 National Medal of Arts, 9-10-2015. 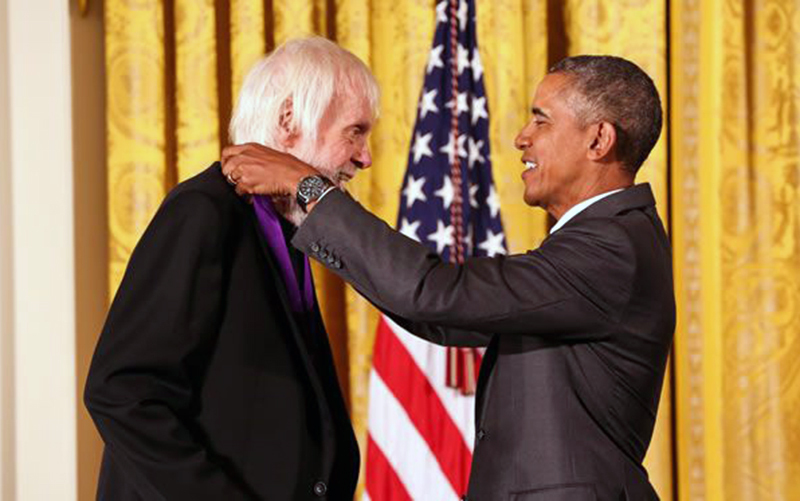 September 10, 2015 — Los Angeles artist John Baldessari, a founding faculty member of California Institute of the Arts in Valencia, was one of 11 recipients of the National Medal of Arts for 2014. John Baldessari for his contributions as a visual artist. His ambitious work combines photography, painting, and text to push the boundaries of image, making him one of the most influential conceptual artists of our time. 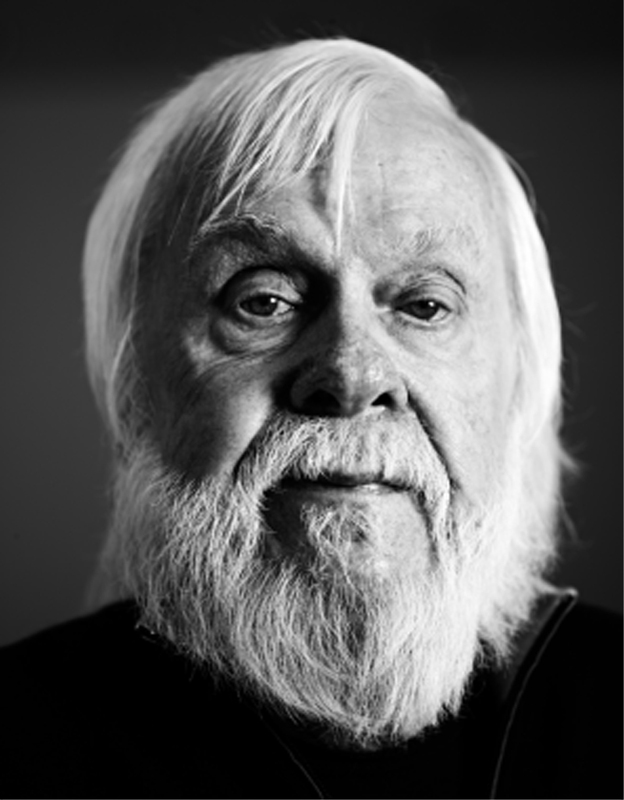 While at CalArts, Baldessari helped establish an innovative education program that has produced many of the world's leading contemporary artists. In recognition, earlier in 2015 CalArts dedicated the Baldessari Studios building on its Valencia campus — a freestanding, 7,500-square-foot building with 16 artist studios, an exhibition space and a large, light-filled painting room. 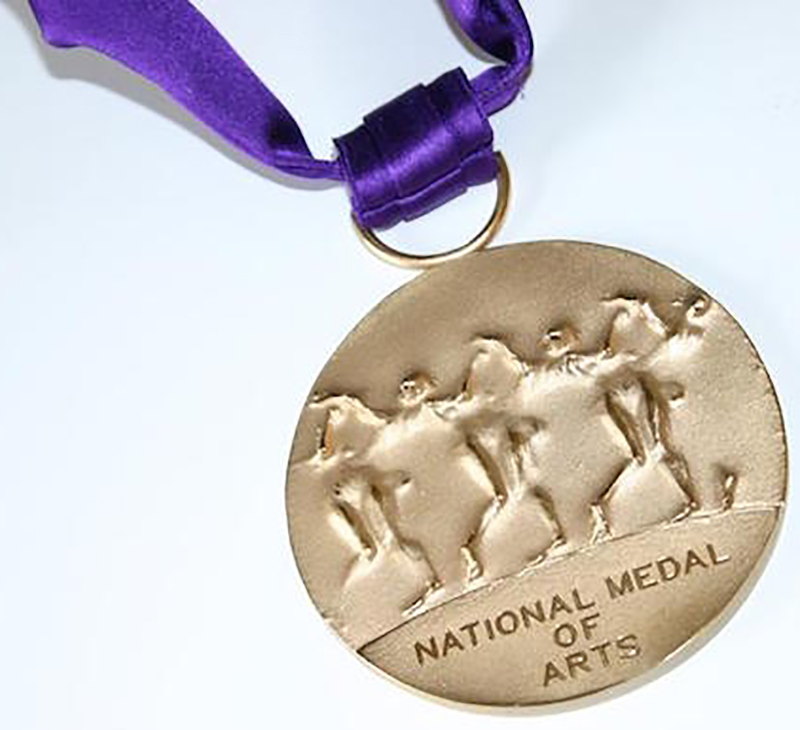 The other national medal recipients for 2014 were author Stephen King, actress Sally Field, the Doris Duke Charitable Foundation, and Ping Chong, Miriam Colón, Ann Hamilton, Meredith Monk, George Shirley, Tobias Wolff and the University Musical Society.